I am loving salads these days. The Pear and Lettuce Salad is just the one I needed this afternoon to beat the heat and get in some portion of healthy food. It is even better with the walnuts. I had this salad at a restaurant called Herbs and Spices in Indiranagar, Bangalore. It was such a nice joint for good barbecue and good music, we were a regular there. 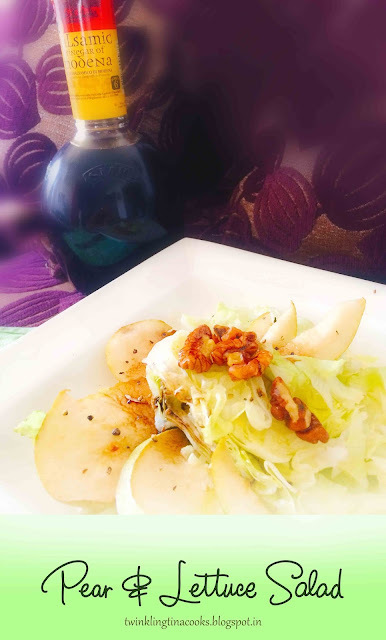 I knew it I had to recreate their Pear and Lettuce Salad at home. 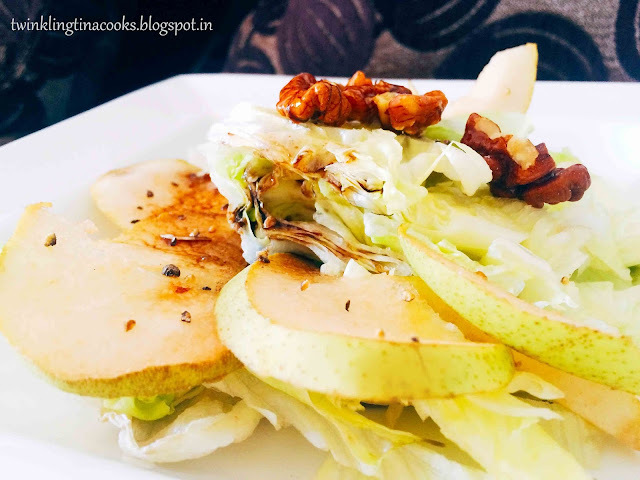 But I made my additions and now mine is a Pear and Lettuce Salad with Toasted Walnuts. 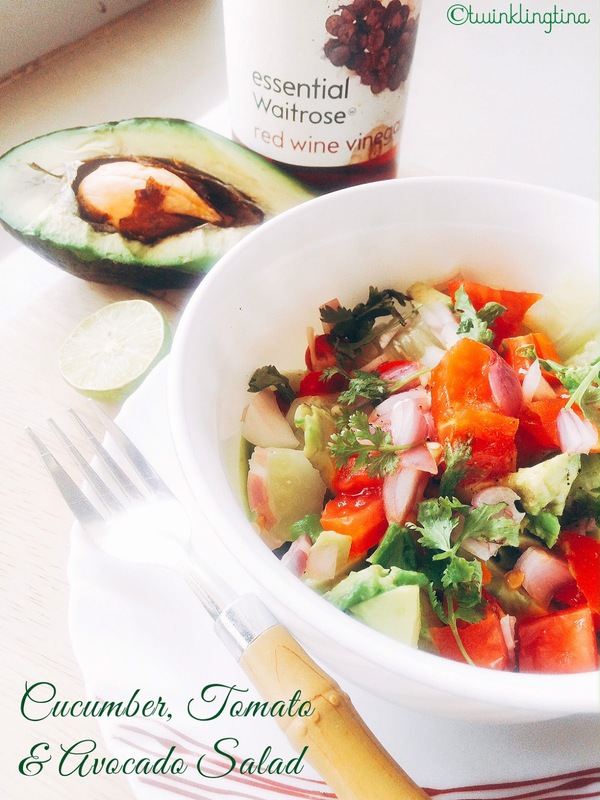 This is such a no fuss salad that I am in love with the simplicity of it! Drizzle some olive oil and squeeze a little lime juice. 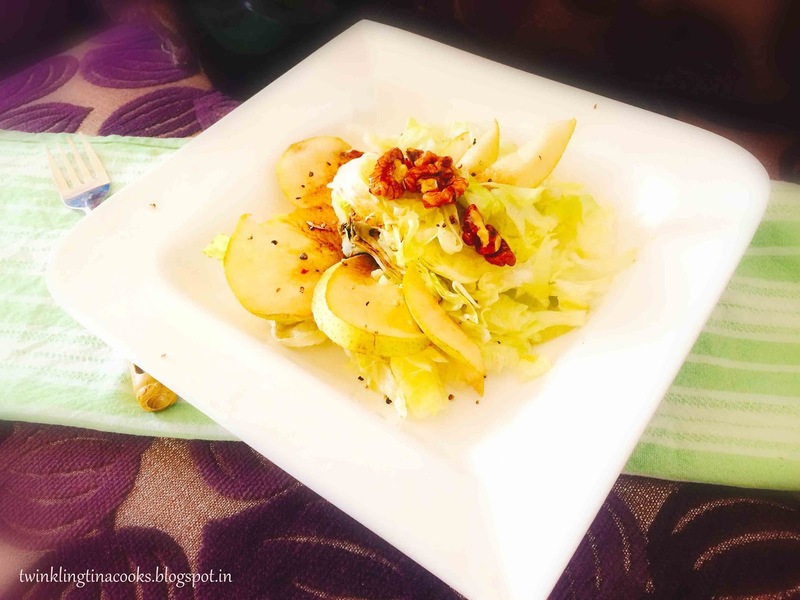 You can check other yummy and crunchy salads as well. 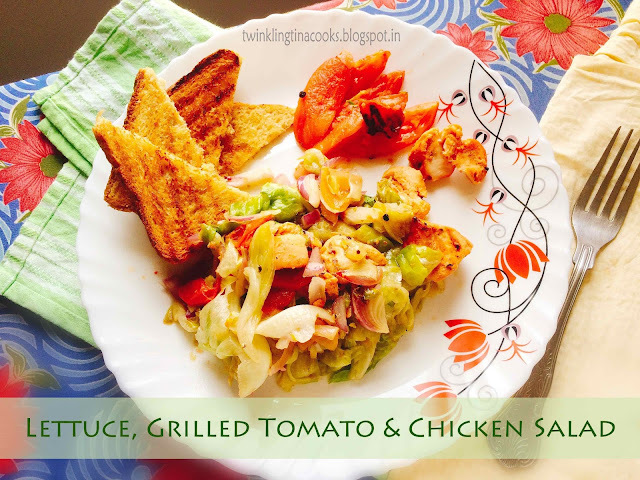 Lettuce, Grilled Tomato & Chicken Salad - is the perfect lunch with health and taste. Easy to make and super yum! 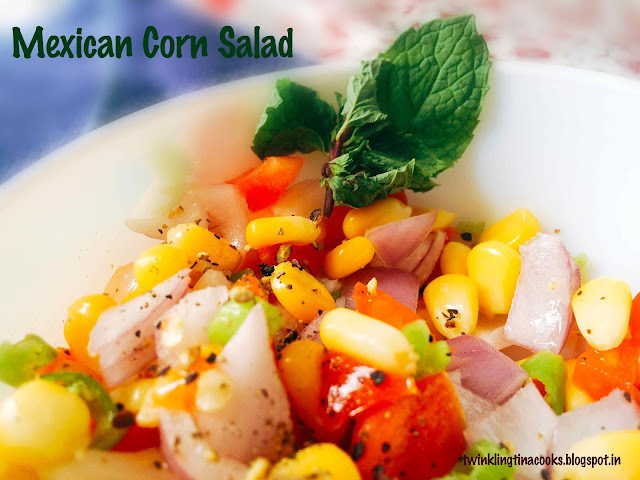 This healthy and super yum crunchy Mexican Corn Salad is ready in a blink. 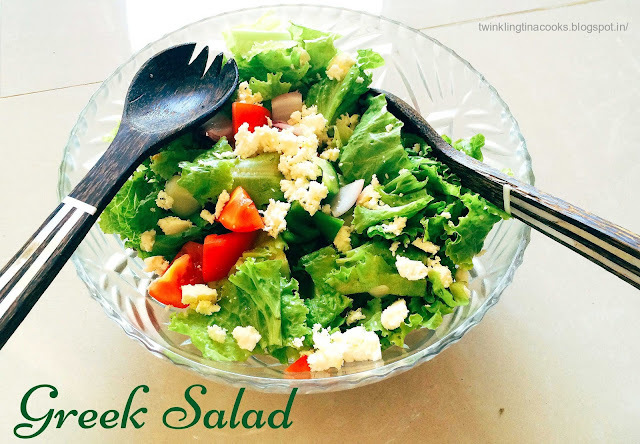 A classic Greek Salad with fresh and crunchy produce is a great option for your lunch. Check out the Step by Step Photos. I love this Cucumber, Tomato & Avocado Salad because of it's simplicity and freshness. This post is written for the A to Z Challenge 2016 for Day 16 Letter P. Visit A to Z, BlogChatter to read other beautiful bloggers!